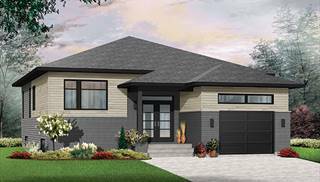 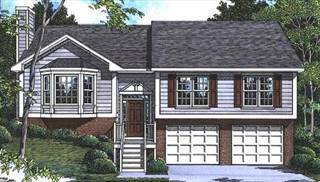 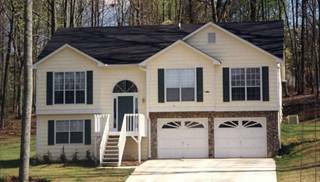 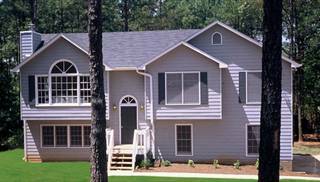 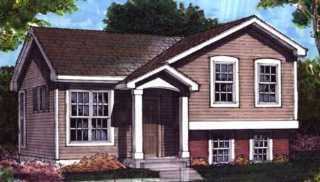 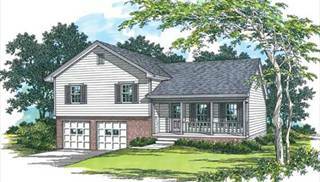 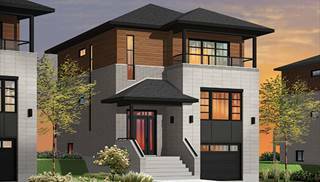 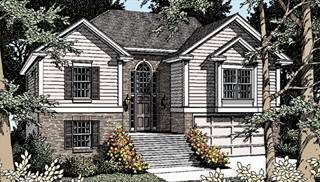 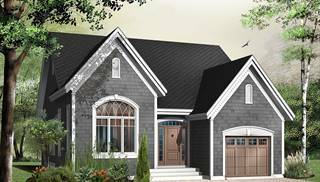 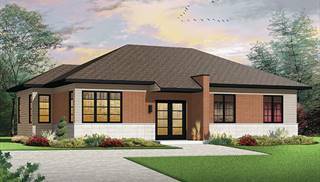 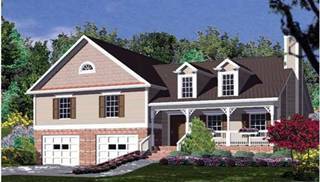 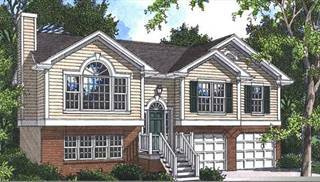 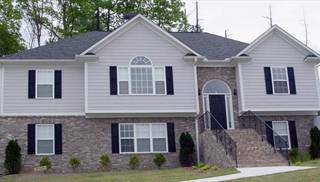 Our bi-level house plans are also known as split entry, raised ranch or high ranch. 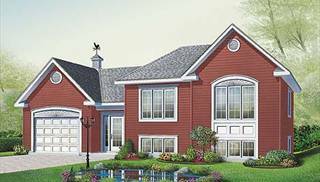 They have the main living areas above and a basement below, with stairs going up and down from the entry landing. 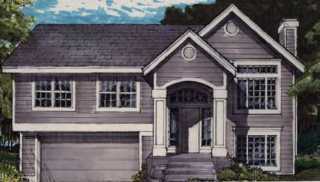 The front door is located midway between the two floor plans. 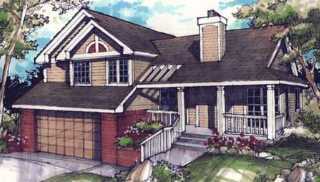 These homes can be economical to build, due to their simple shape. 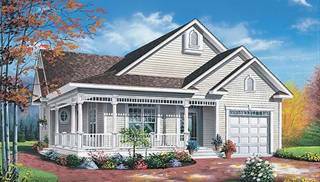 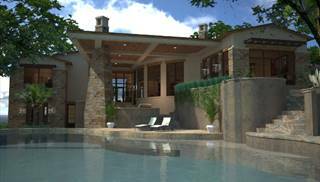 You may also save money by leaving the lower level unfinished; you can add finished rooms later if you wish. 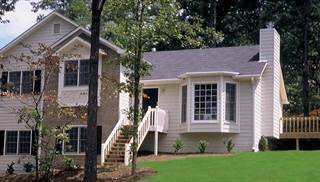 How about putting a private apartment downstairs, for some extra income? 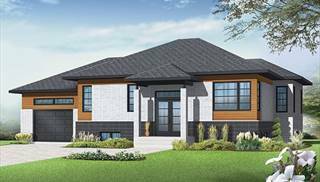 For home plans that split the main floor in half, with a few steps leading up from the main living areas to the bedrooms, check out our split level collection!